Not a lot of nature or wildlife today. It was “Visit My Mosque” weekend so we decided on the spur of the moment to visit the oldest mosque in Britain, the Abdullah Mosque in Brougham Terrace, run by the Abdullah Quilliam Society. 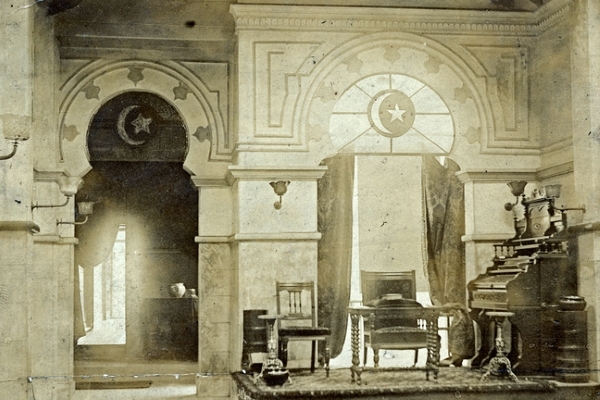 It was founded in 1887 by the English solicitor William Henry Quilliam, who converted to Islam and took a new name. 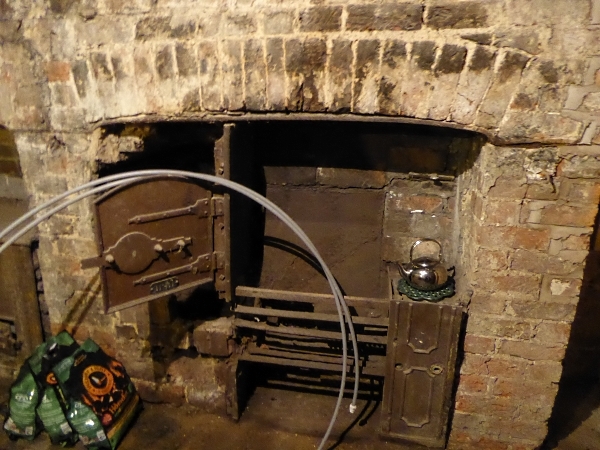 It was in a former private home, which later became a back storage room in the old Register Office. Then it went to rack and ruin and is now being restored as a working mosque. We had a tour around the whole building, where there is still lots of refurbishment work going on. They have saved some of the old plaster mouldings and also the ancient Victorian kitchen range in the basement. 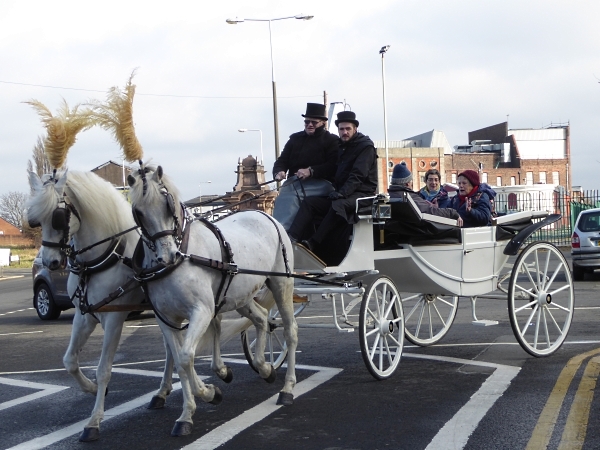 Then we headed back to the city centre. 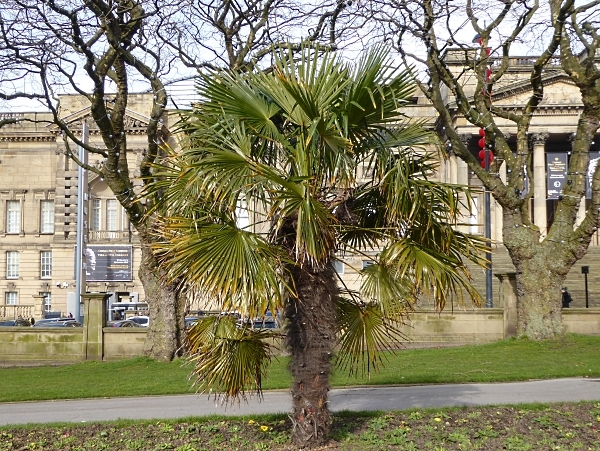 There is a row of small, neat trees on Lime Street, outside St George’s Hall, which have dark crimson new twigs and buds. Margaret thinks they are Limes (very appropriate in Lime Street!) and I suspect they might be Small-leaved Limes because there are no twiggy bases to the trunks. We need to look at them again when they flower. We lunched in St John’s Gardens, enjoying the mild weather for a change. We checked some old tree friends there – the London Planes around the perimeter with the four “interloping” Single-leaved Ashes; two Indian Bean trees and now only four Trees of Heaven by the plaque to the French Prisoners (one of them was cut down last autumn); there is also a Dove Tree, also known as a Handkerchief tree. Symmetrically placed are two Willow-leaved Pears and the side beds have about six Chusan Palms, only one of which seems to have a proper trunk. 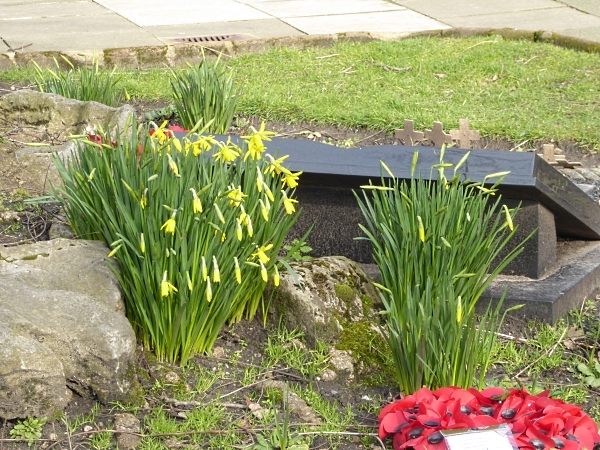 Daffs were starting to flower under the trees. 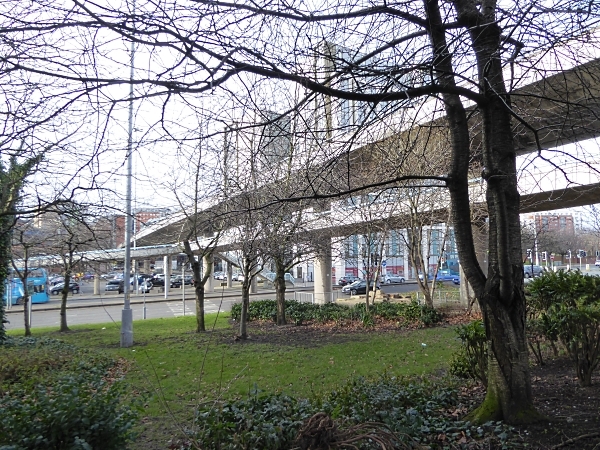 Then we went around the back of the Museum, to the shrubby traffic island under the fly-over, before Hunter Street. There are three Rowans there, several old Cherries, and also what might be a few White Poplars, but we’ll need to look at them again. William Brown Street was busy with people coming from the New Year celebrations in Chinatown, and going into the Terracotta Warriors exhibition. The hotels, pubs and restaurants will do very well from that this year. Public transport details: Bus 18 from Queen Square at 10.12, arriving West Derby Road / Everton Road at 10.20. Returned to Liverpool on the 18 bus from West Derby Road / Nevin Street at 12.20, arriving Lime Street at 12.30.